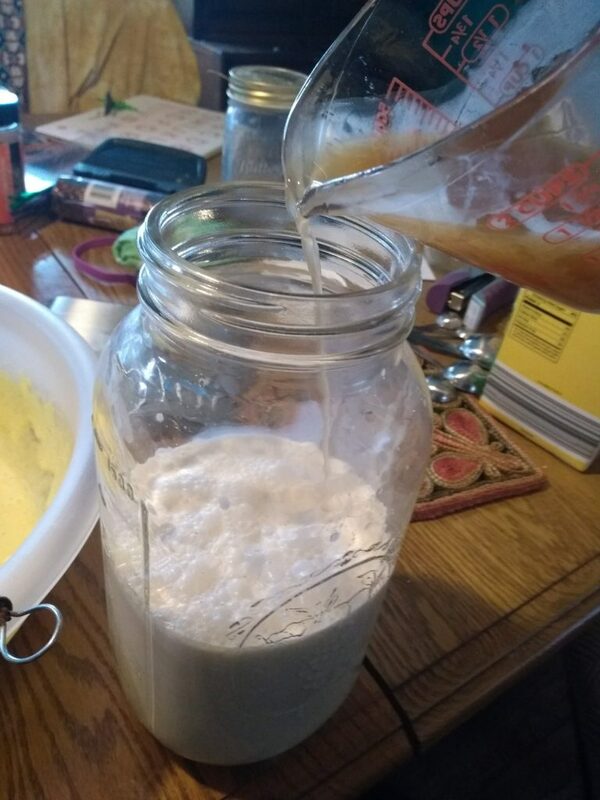 Here’s a guest post from my niece Celishia, an excellent cook and egg nog maker. Store eggs are fine, but I really have an obsession with fresh ones. We no longer keep chickens but I was able to score 2 dozen from a friend of mine who has a farm about 40 minutes away. First separate the eggs into yolks and whites, saving the whites for another purpose. ( I like to make meringues or fold them into an egg casserole/quiche for an easy breakfast.) 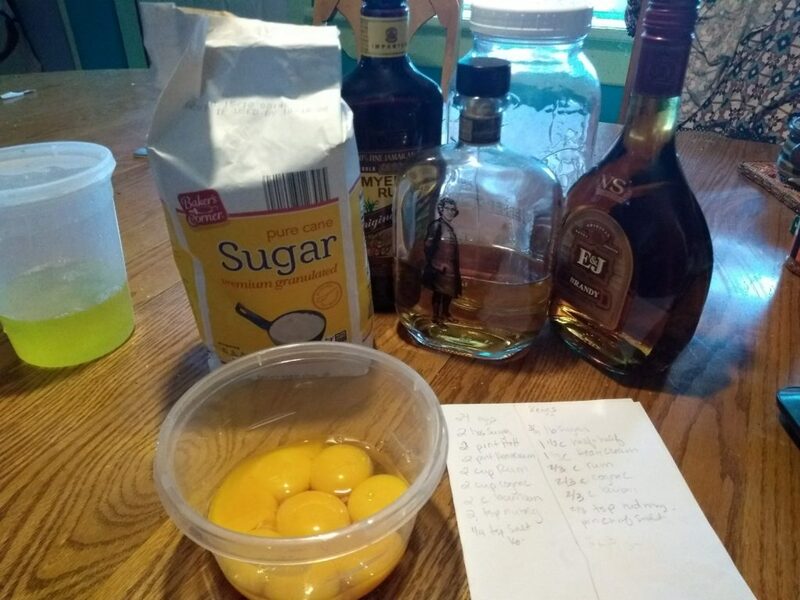 I do weigh out my sugar for this recipe, but you can use a volume conversion because the booze is what makes it safe, not the sugar content. 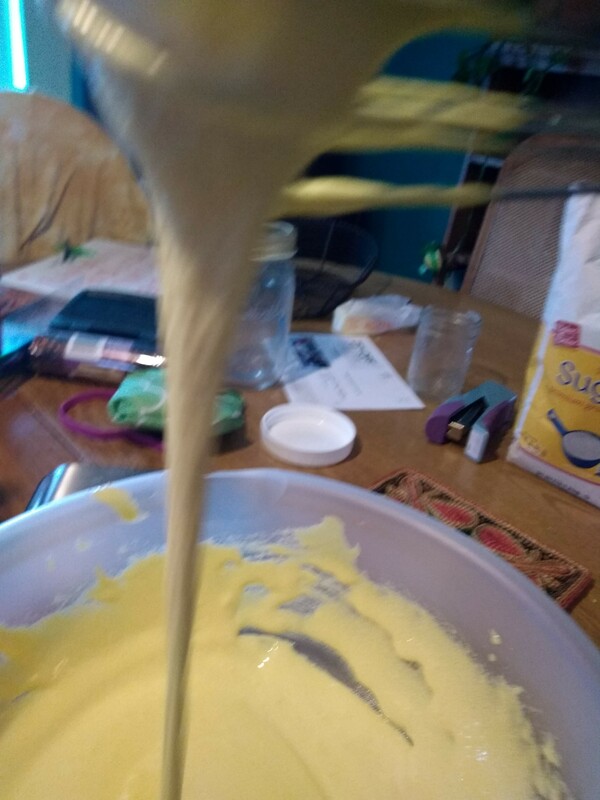 Take the yokes and beat them into the sugar, at first it will be bright yellow with a lumpy, grainy texture, but soon it will even out into a pale yellow liquid that should fall off the whisk in a thick ribbon. The effort required is not enough to wash a mixer, so just use a whisk. Add your nutmeg to the eggs and sugar, whisk in. 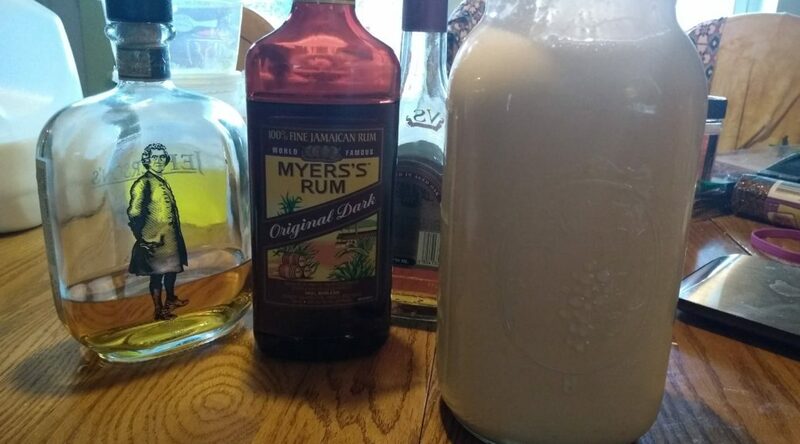 I measure the remaining ingredients into my jar to mix them, starting with the creams and adding the booze. 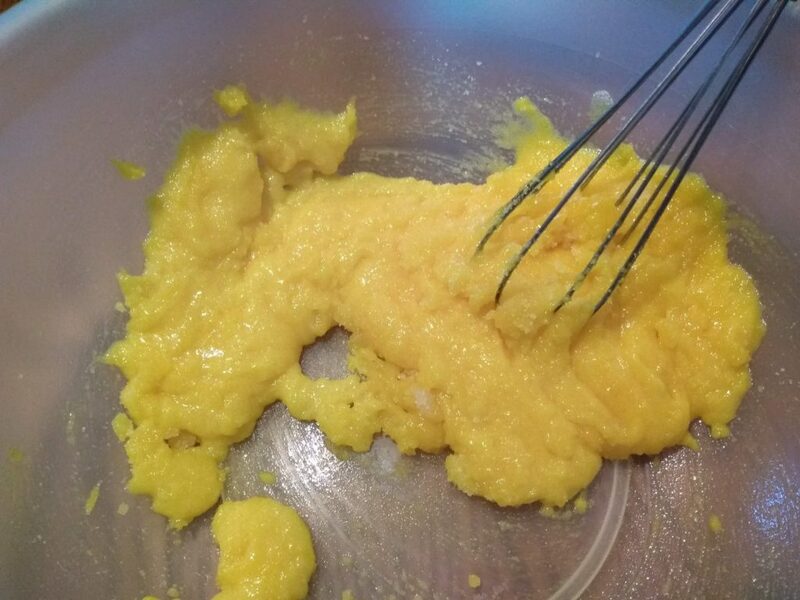 Closing the lid and giving them a good shake, I then began to pour them into my egg mixture while whisking. Once the eggs, cream and booze are nicely combined you are finished! I pour the eggnog back into my jar add the lid and take it to the basement fridge to age. It must age for two weeks but can age much longer, I think Alton once said he makes his around New Year’s day every year. The longest we’ve ever had it is October to January, and it was great in January.